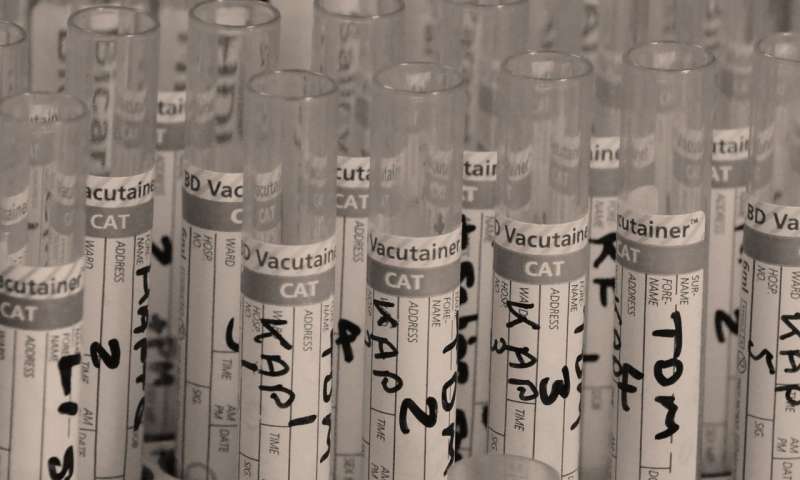 Researchers at the University of Waterloo have developed a new system that could significantly speed up the discovery of new drugs and reduce the need for costly and time-consuming laboratory tests. The new technology called Pattern to Knowledge (P2K) can predict the binding of biosequences in seconds and potentially reduce bottlenecks in drug research. P2K uses artificial intelligence (AI) to leverage deep knowledge from data instead of relying solely on classical machine learning. "P2K is a game changer given its ability to reveal subtle protein associations entangled in complex physiochemical environments and powerfully predict interactions based only on sequence data," said Andrew Wong, professor, Systems Design Engineering, and Founding Director, Centre for Pattern Analysis and Machine Intelligence (CPAMI). "The ability to access this deep knowledge from proven scientific results will shift biological research going forward. P2K has the power to transform how data could be used in the future." Although a large amount of biological sequence data has been collected, extracting meaningful and useful knowledge hasn't been easy. P2K algorithms tackle this challenge by disentangling multiple associations to identify and predict amino acid bindings that govern protein interactions. Since P2K is much faster than existing biosequence analysis software with almost 30 per cent better prediction accuracy, it could significantly speed up the discovery of new drugs. By drawing information from databases in the Cloud, P2K could predict how tumour proteins and potential cancer treatments would interact. Although still in the early prototype stage, Professor Wong and his team have made the online P2K system available publicly to researchers to start identifying new bio-sequence interactions. "Putting this AI technology in the hands of biomedical researchers will generate immediate results, which could be used for future scientific discoveries," said Antonio Sze-To, research associate, Systems Design Engineering, and co-inventor of P2K. Since it analyzes sequential data, the applicability of P2K isn't limited to biomedical research. P2K could benefit the financial industry by making useful associations and predictions for smart trading or the cybersecurity sector by predicting the likelihood of a potential cyber attack. The research paper, "Pattern to Knowledge: Deep Knowledge-Directed Machine Learning for Residue-Residue Interaction Prediction" was recently published in Nature's Scientific Reports. Will a machine pick your next medication?